Pauline Christina Bryan, Baroness Bryan of Partick, is a Scottish writer and socialist campaigner. She was nominated for a life peerage by the Leader of the Labour Party, Jeremy Corbyn, in May 2018. Bryan is part of the Red Paper Collective, a group of Labour activists who aim to provide an alternative from the perspective of the Labour movement to the ‘sterile nationalist vs. unionist debate’ around the Scottish independence referendums. In a review of Neil Findlay’s book, Socialism & Hope: A Journey Through Turbulent Times, Bryan wrote that the election of Jeremy Corbyn as leader of the Labour Party ‘was a lifeline for the left. It rebuilt friendships and enthusiasm... By the 2017 election, we saw the beginnings of a renewed Scottish Labour Party and a renewed activist base who, regardless of what their MPs and MSPs thought, were committing themselves to a radical Labour Party’. 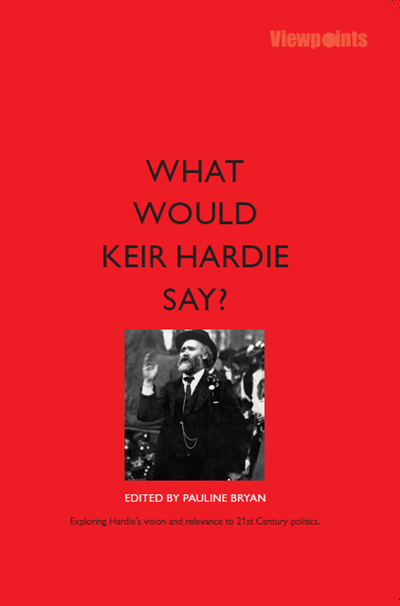 Bryan is a founding member of the Keir Hardie Society, and was the editor of the 2015 book What Would Keir Hardie Say?. She is also a founding member of the Campaign for Socialism.